Mark Panck, author of "Gaijin Yokozuna: A Biography of Chad Rowan" will give a free talk at 3 p.m. Thursday at the University of Hawaii-Manoa. He will also visit bookstores over the weekend to sign copies of his book on the champion sumo wrestler known as Akebono. Panck, an assistant professor of English at the University of Hawaii-Hilo, will speak in Kuykendall Room 410 in an appearance sponsored by the Center for Biographical Research. 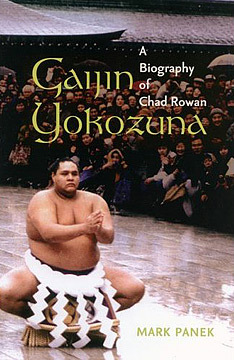 He will sign "Gaijin Yokozuna" on Saturday -- at noon at Borders Ward Centre and at 2:30 p.m. at Barnes & Noble Kahala Mall -- and at 1 p.m. Sunday at Barnes & Noble Ala Moana.